HCC attorney Melissa M. Horne recently won a precedent-setting homestead exemption case against the City of Woonsocket. In the process, the court awarded her clients their attorney’s fees as a result of the city’s violation of the state’s Open Meetings Act. Attorney Horne’s clients own a parcel of property that contains a primary residence as well as a barn that had been converted to a one-bedroom residence occupied by the client’s grandparents. They sought a special use permit from the city’s zoning board to use the secondary structure as an accessory family dwelling unit. The tax accessor had initially applied a thirty percent, single family homestead exemption to the total value of the plaintiffs’ property. Thereafter, a new city tax accessor applied a lower two-family exemption to the property. That decision subsequently was appealed to the Woonsocket Tax Board of Assessment Review, which affirmed the Assessor’s decision. On appeal to the Superior Court, Attorney Horne argued that the property should be classified as a single family residence and, therefore, is entitled to the higher single family exemption. The city countered that the additional dwelling made the property a two-family property and deserved a higher property tax. The judge agreed with Ms. Horne’s argument, noting that the terms “single family” and “two-family” are not specifically defined within state law authorizing the homestead exemption or the city ordinance discussing the homestead exemption. The judge found that the physical characteristics of both the primary and accessory residences fit the plain meaning of a single family dwelling. “The fact that there are multiple single-family dwellings on the same plot of land is of no significance to the issue posed by this litigation,” the judge said. He declared that the single family homestead exemption should apply to the assessed value of the primary residence and the land on which the two buildings sit, but decided the accessory dwelling unit was not entitled to any homestead exemption because it is not owner occupied. Concurrently, Attorney Horne argued that the Board of Assessment Review violated the state’s Open Meetings Act by not deliberating on the appeal in public and failing to maintain minutes and record the votes of the Board’s members. The Court agreed and awarded Attorney Horne’s clients their attorney’s fees incurred in successfully proving a violation of the state’s Open Meetings Act. 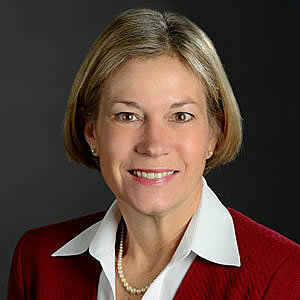 Melissa M. Horne is Of Counsel to Higgins, Cavanagh & Cooney, LLP. The litigation was heard before Superior Court Judge Bennett R. Gallo. The 13-page decision is Roberts v. Pare, et al., C.A. No. PC-2017-2410. This case has garnered significant attention and was a cover story in Rhode Island Lawyers Weekly. Attorney Horne told that publication: “My takeaway is that improved statutory and ordinance language would perhaps have alleviated the need for this case. The case offered a good example of what can happen when statutes and ordinances do not get updated to reflect changes in housing uses,” she said. In the absence of such statutory updates, this case is precedent-setting relative to the homestead exemption applicable to accessory family dwelling units. If you have any matter involving land use law or the Open Meetings Act that you would like to discuss with Attorney Horne, she can be contacted at mhorne@hcc-law.com or 401-272-3500.